Janette and I go through a lot of hummus. We eat it with veggies virtually every day, so there’s almost never a time you would open our fridge and not find one or two varieties. 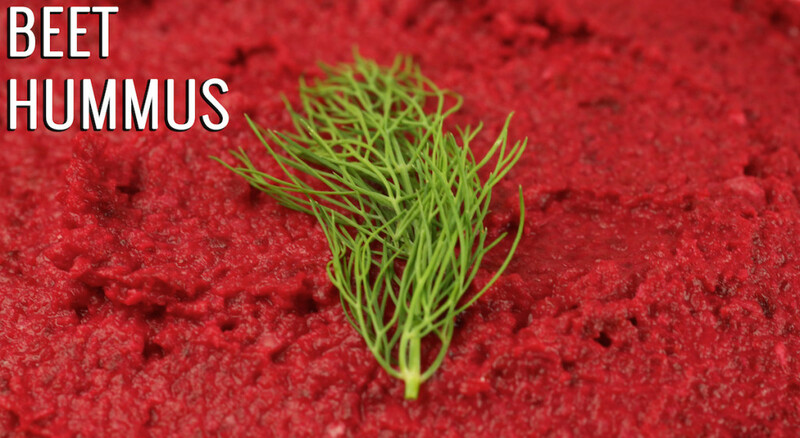 In a quest for something different, I came across a recipe for beet hummus. We had some fresh beets in the fridge from our Sunday farmer’s market excursion, so I figured it was meant to be. 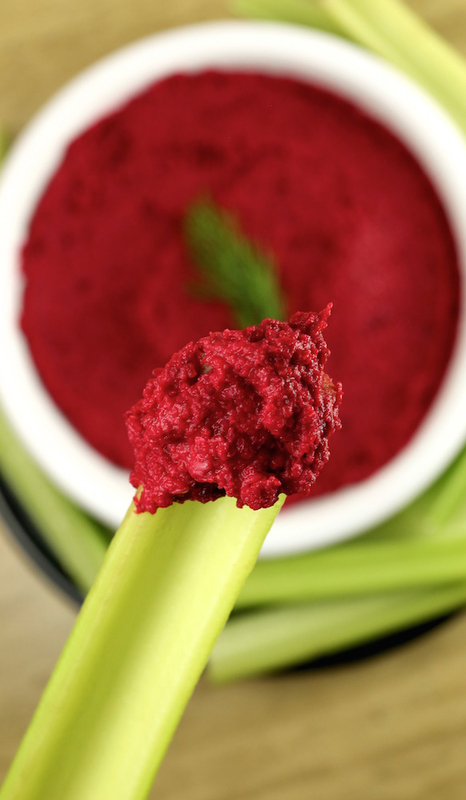 Beet hummus definitely doesn’t have your typical hummus flavor. As you probably can imagine, it’s a little sweet because of the beets, but the lemon juice does help balance it out. We both thought it was delicious with cucumbers and celery. 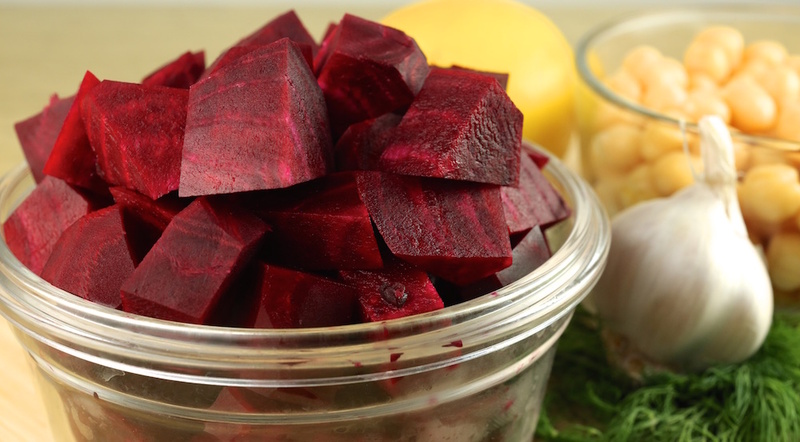 Cut beets in to 1/2″ cubes and place on a baking sheet. Drizzle a tablespoon or so of olive oil over them. Season with salt. Bake about 30-45 minutes, until tender. Set aside to cool. 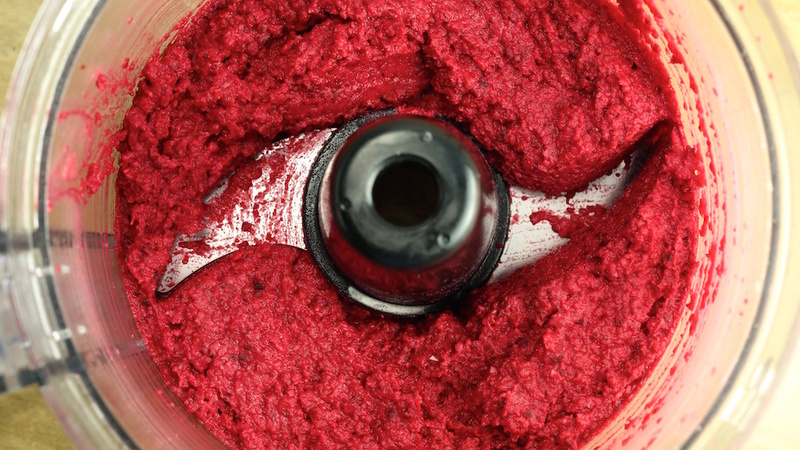 In your food processor (I use this one), put the chickpeas (drained), garlic, tahini, paprika, salt, olive oil, and cooled beets. Purée until you reach the consistency desired. Serve with fresh cut veggies or crackers. Refrigerate in an air-tight container.